Duro is an all-terrain tactical vehicle used for a wide range of military purposes. 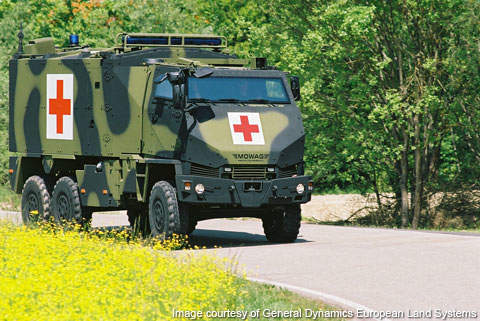 The protected version of Duro can be used as an ambulance, APC or for other missions. The basic chassis-cab and variety of the Duro can be tailored to mission requirements. The Mowag Duro can be equipped with weapon stations, machine guns and grenade launchers. Duro has a maximum speed of 100kmph. 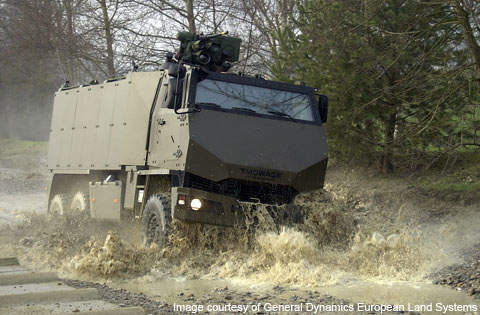 About 4,000 Duro 4×4 and 6×6 vehicles are operational throughout the world. Duro is a high-mobility military tactical vehicle developed by General Dynamics European Land Systems-Mowag in Switzerland. 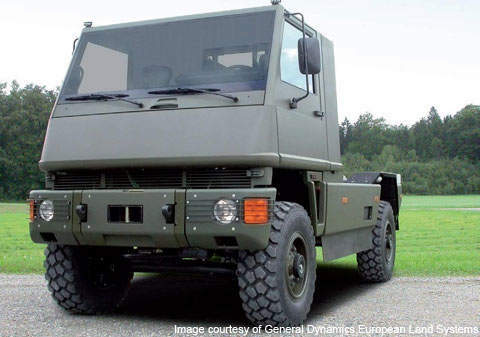 The Duro (durable and robust) multipurpose vehicle was developed for the Swiss Army by Bucher-Guyer in 1994. 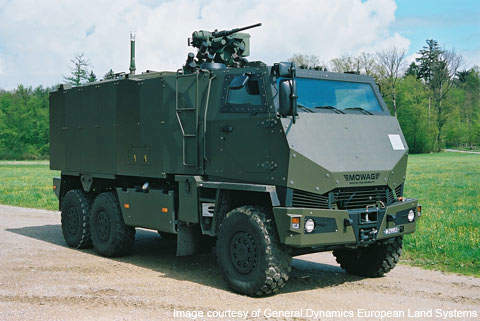 Mowag, owned by General Dynamics, acquired the rights to the vehicle from Bucher-Guyer in 2002. The Duro II and Duro III vehicles are available in 4×4 and 6×6 configurations. The vehicles are built with both protected armour and non-armour, with overall weights ranging from 7t to 25t. 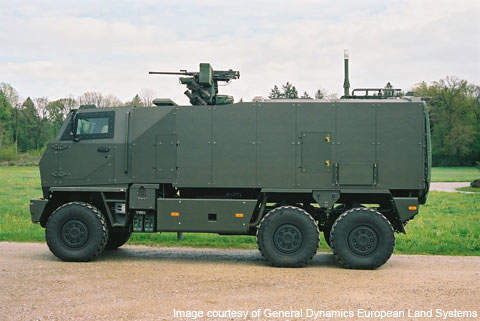 Duro IIIP 6×6 with armour protection is the latest version of the Duro family with a crew of 11 – a driver, commander, gunner and eight infantrymen. Mowag developed the armoured Duro in cooperation with Rheinmetall Landsysteme. About 4,000 Duro vehicles are operational in armies across the world. The Mowag Duro all-terrain tactical vehicle is produced in 4×4 and 6×6 configurations and is used for a wide range of military purposes. The variants include Duro II and Duro III – 4×4 and 6×6 models – and the armoured Duro IIIP 6×6 vehicle with modular shelter. Duro IIIP laboratory vehicles can be used for identification of radioactive materials, toxic industrial chemicals and other biological and chemical warfare agents. The vehicles will also be used for civilian applications, such as anti-terrorism assignments and disaster relief. Duro is designed as a modular vehicle, enabling it to be modified to different configurations. Duro has a basic chassis-cab and a variety of superstructures which can be tailored to accommodate personnel or materials. 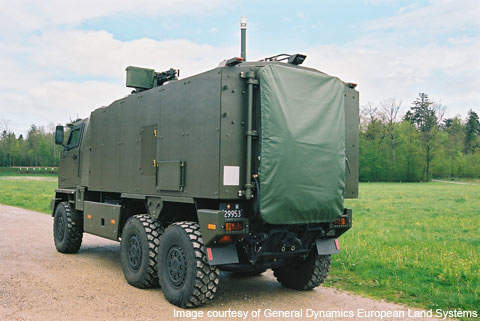 The vehicle offers reliability for various missions, such as bomb disposal, communications mission, command and control, ambulance, troop carrier and logistics. Optional equipment for the Duro 4×4 and 6×6 models includes an air conditioning and preheat unit, central tyre inflation system (CTIS), NBC overpressure system, winch and GPS. Duro can be equipped with various self-defence armament such as 7.62mm weapon stations, 12.7mm-calibre machine guns and 40mm grenade launchers. The Duro IIIP 6×6 geschützte mannschaftstransportfahrzeuge (GMTF), or protected crew transport vehicle, is 6.9m long, 2.16m wide and 2.67m high. "The Duro (durable and robust) multipurpose vehicle was developed for the Swiss Army by Bucher-Guyer in 1994." It has an improved payload capacity over the unprotected Duro vehicles and can be used as ambulance, APC or other missions. The 1,800kg payload enhances crew protection with add-on armour kits to the entire vehicle rather than the cab. The Duro IIIP provides protection against 7.62mm armour-piercing (AP), land mines, IED and ballistic protection. The Duro IIIP is powered by a 245hp Cummins turbocharged six-cylinder diesel engine coupled with Allison five-speed automatic transmission and rigid De-Dion axle system. Incorporating a patented anti-roll bar, permanent all-wheel drive and tyre pressure control system gives Duro a high on and off-road stability. Duro has a maximum speed of 100km/h with lateral inclination of up to 30% and gradient of 60%. The vehicle has Torson self-locking differentials for the permanent all-wheel drive. Duro vehicles weighing less than 12t can be transported by C-130, C-160 and A400M cargo aircraft.